Day 2 of our Perth adventure. Visited some 400 year old giants - Valley of the Giants while on our way to Margret River from Walpole. This is the beach house we stayed at in Gracetown (Margret River). It accommodates up to 12 pax and costs slightly less than $600 a night. 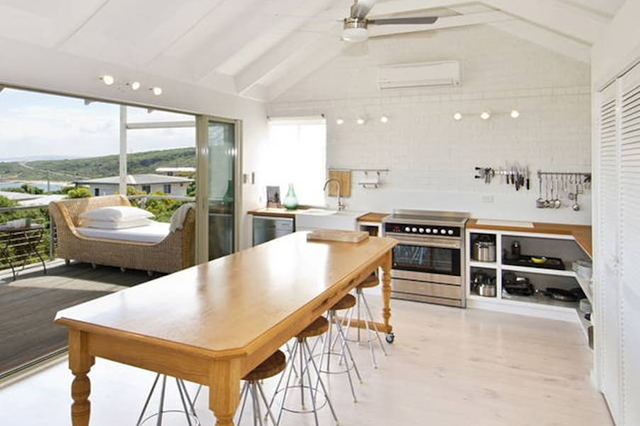 We loved everything about this place, especially the spacious kitchen! Do take note that you have to be quick in the shower or the last few people bathing will run out of hot water though! On another note, this round neck basic tee as seen here & the collage above is just launched on Hollyhoque HERE. Material is incredibly soft & breathable, feel free to pop by our store at Orchard Gateway B2-02 to try it!